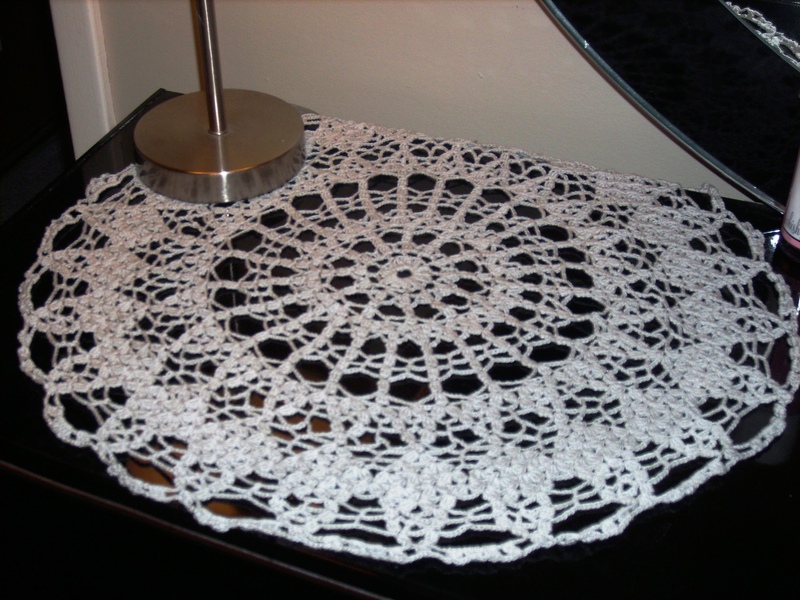 Here is the latest doily that I made. 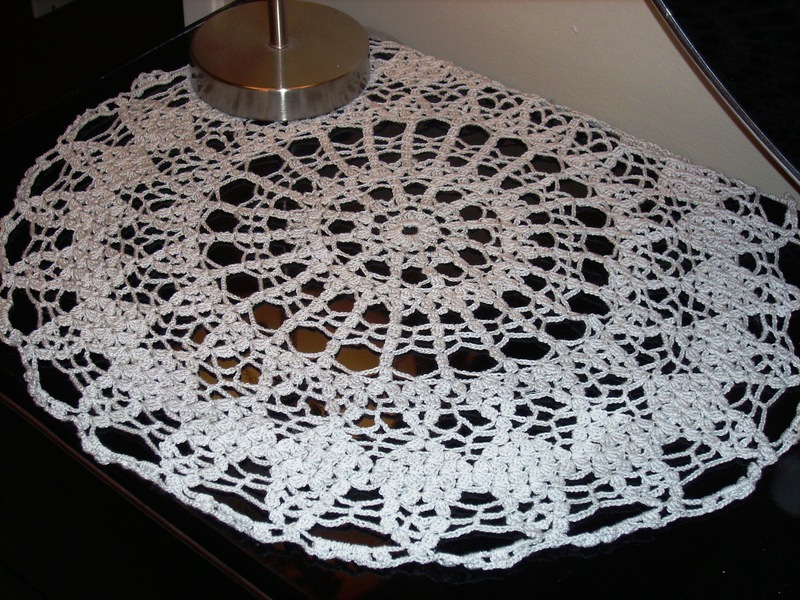 This one is from Coats & Clarks #197 “Priscilla Doilies”. I made Brocade #A-792. It was originally published in 1969. 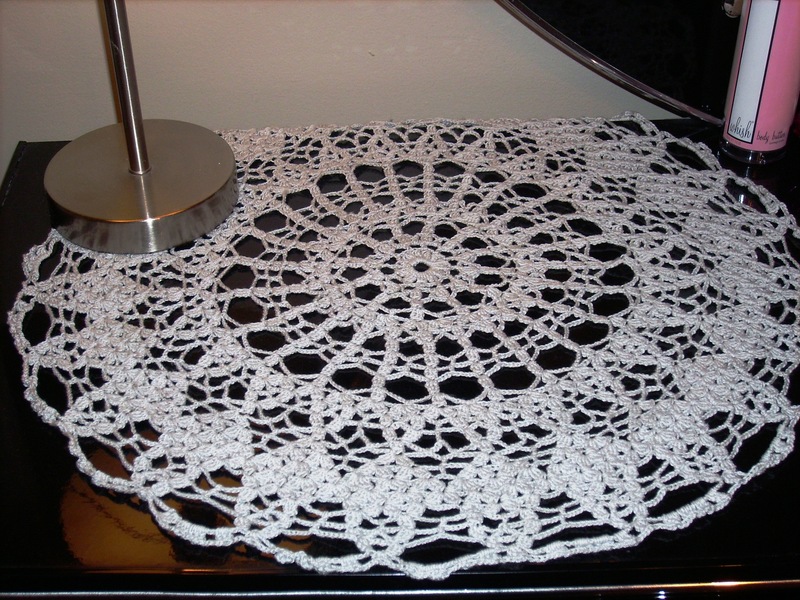 As this is doily number 4, this time I used a thinner thread (size 10) and a smaller crochet hook (size C). The finished size is 20 inches. It is bigger than I had wanted for the center of my dresser but I am still learning. If I had used the pattern’s recommend size 20 thread and hook, it would be 15 inches. 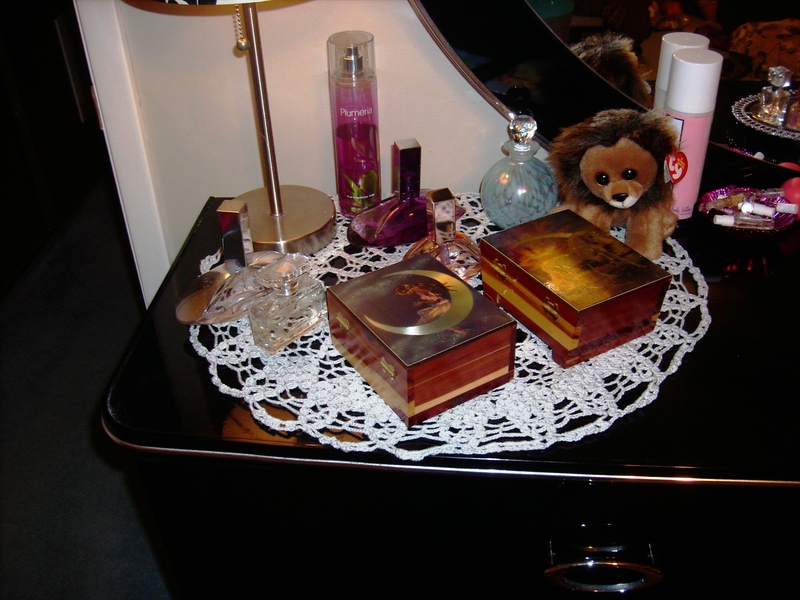 I decided that I will just put it at the edge of the dresser then drape the excess off behind the dresser. 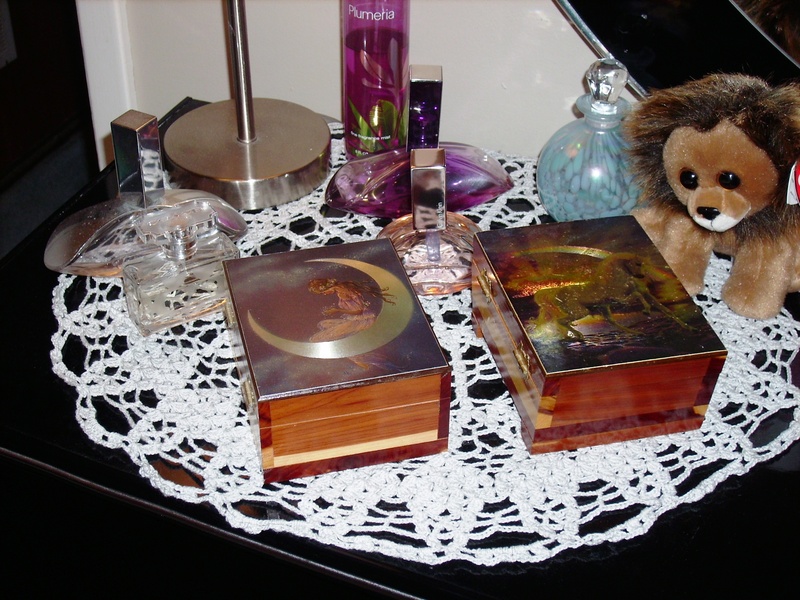 My lamp, two cedar boxes and a couple of bottles of perfume will look nice on it. The pattern wasn’t really hard to follow. There were a couple of rows that reading the directions didn’t make sense. So I would start out the row and then compare what I was doing to the picture included in the book. The picture was detailed enough that you could see what the pattern was. This is it not starched.